NOTES: The most popular version of Snake Eyes. Check to make sure his silver paint on his right arm is not damaged or missing. 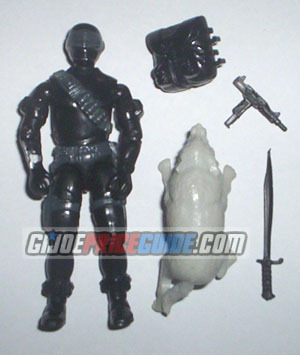 His gun and sword are black, not dark grey like the 1982 and 1983 gun and explosives pack.